AMC Theaters has listed Captain Marvel on their site and smartphone app. The listing shows that the movie is rated PG-13, which we already knew, but it also provides the alleged official runtime. According to the site and app, the Carol Danvers standalone movie is 2 hours and 10 minutes long (130 minutes), which means that either the final cut of the movie is complete, or that the site made an educated guess. We still have a few months before the movie hits theaters, so a lot can change between now and then. If this Captain Marvel runtime ends up official, it will place just over Ant-Man and the Wasp, which is at 118 minutes and below Black Panther, which is at 134 minutes. 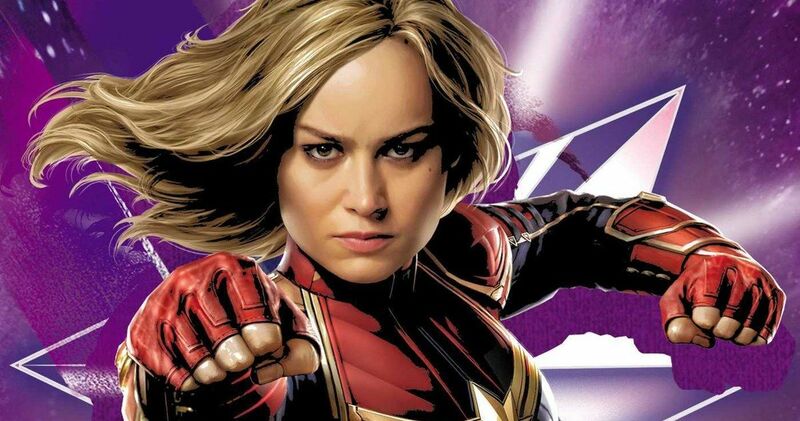 As far as Marvel Cinematic Universe runtimes are concerned, it fits right in with what we have come to expect and it will give fans plenty of time to catch Brie Larson in all of her Carol Danvers glory. Plus, it will give us all plenty of time to figure out just exactly what is going on with these mysterious castings. Jude Law is playing Yon-Rogg this week, though he was listed as Mar-Vell last week, so some MCU fans believe that the actor may be pulling off a dual role. That information has not been confirmed by anyone official, but it looks like Law will be Yon-Rogg when all is said and done. The actor has been very cryptic about his involvement with the project, choosing his words very carefully when talking about his Kree Starforce Commander role, only noting that he is loyal to the Kree. Another discrepancy was brought up earlier today when it was revealed that Samuel L. Jackson’s Nick Fury action figure has green eyes. This has more than a few MCU fans thinking that Fury will be impersonated by a Skrull at some point during the course of Captain Marvel, which doesn’t seem too far out. However, it does seem weird that the action figure would have green eyes, so there is another faction of fans who believe that it was more than likely some kind of problem during the production process. Just like Jude Law’s character, we’re just going to have to wait and see when the movie comes out. Captain Marvel reshoots took place at the end of November, so it’s entirely possible that the final edits have been made and they’re just working on the CGI presently. It’s pretty much impossible to tell with a Marvel Studios project. Though, the Russo Brothers seem to have been pretty quick getting Avengers: Endgame together, which may end up being a full three hours long when it hits theaters at the end of April. You can head over to the AMC Theaters website to check out the Captain Marvel runtime and see if it ends up as official when the movie hits theaters on March 8th.